The end of the year is the perfect time to capture learning from the past year, celebrate our successes, and look forward! Instead of a performance review that ranks and rates employees, we should schedule an end-of-year celebration-and-planning meeting. In that meeting, nobody would evaluate anybody else. Nobody would get a grade or a ranking or rating like a little kid in school. That’s insulting. If you want someone on your team in the first place, you don’t give them a rating like Above Average or Needs Improvement. You encourage them and thank them for their work over the past year. Work is broken — and performance reviews are one of the most broken parts of it! It’s only to be expected that many people dread their performance reviews, even when they’ve had a great year. Unless there is a high level of trust between an employee and their manager, a performance review meeting could be an ambush. I have seen it happen many times. Whether you look forward to your annual performance review or can’t wait to get out of the room when it’s over, here are ten things never, ever to say during that meeting. This evaluation is wrong. I will write a rebuttal. I need a bigger pay increase than this. These were not the goals I signed up for — you’re evaluating me based on the wrong milestones. I worked harder than a lot of my co-workers this year. That mistake was not my fault. You forgot to mention my major triumphs this year. I couldn’t get answers to the email messages I sent you, so it’s no wonder that I missed some of my deadlines. I want to transfer to a different department. This review is too strongly influenced by the one time I dropped the ball. It’s unbalanced. If you disagree with the performance review your boss has written, that’s fine, but there’s no point in arguing with him or her about it. Instead of getting into a debate, thank your manager for their observations and tell them that you’d like to talk with them again in a couple of weeks. That extra time will be helpful for you as you prepare your thoughts and put them in writing. You can write a rebuttal to your performance review and give it to HR. They will put your write-up in your personnel file. As an HR leader I have read and filed away dozens of performance review rebuttals — but your composition won’t do you or anybody else any good unless you reach an understanding with your manager. Unless you are preparing documentation for a future court case (in which case your rebuttal may get its moment in the sun after all) you are unlikely to convince anybody of the soundness of your views by writing them out in paragraph form. Sit down with your manager instead, and start with the assumption that your boss wasn’t trying to bushwhack you when they hit you with some unexpected criticism during your review. If you don’t trust your boss to evaluate you as fairly as they know how, why would you work for them for another day? If there is no trust between you, start a job search and start working somewhere else as soon as possible. If you have your heart set on a bigger pay increase than whatever your company normally gives out as a cost-of-living increase, you have to talk to your boss about it months ahead of time — not at the review meeting itself! It’s too late by then. You may not know the goals by which your boss plans to evaluate you. You have to find out what they are at the beginning of the review period, and check in with your manager at least once a quarter to make sure you and they are still following the same plan. When we feel defensive — and everybody does, at times — we revert to our fearful selves. 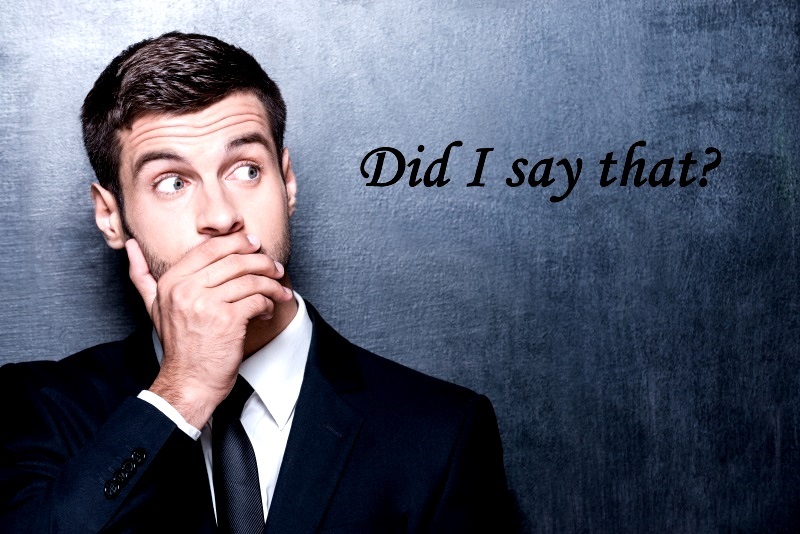 When your boss dumps a load of harsh feedback on you, you may want to respond with “Really? I work harder than half the people in this department!” but what good would that do? Keep breathing and remember that it doesn’t really matter all that much what your boss thinks of you. He or she is only one person, no better or worse than you or anyone else. He or she only has one tiny power — the power to keep you in your current job or let you go. You, on the other hand, have tons of super powers. You can go get a new job whenever you like. You can collect amazing treasures at this job even if you don’t agree with your manager’s views. You are a super hero — but only when you remember that it’s your path, and yours alone! You must bring a report showing your goals, triumphs and biggest learning from the year to your performance review meeting. You can send your write-up to your boss before the meeting so they can preview it. Of course your manager was slow responding to your email messages, and probably dropped the ball in countless other ways too. That’s life! Remember, you took the job and you’ve kept the job so far. That means you have to take responsibility for the job, however it is constructed — including your boss’s quirks and failings, which are part of the total package. If you want to transfer to another department, the time to talk about that is when your boss is over-the-moon delighted with your performance and also feeling good about his or her own growing flame. When your boss is feeling good, he or she is more likely to nominate you for an internal promotion or to support your efforts to get a better job inside the company. At any other time — including your annual performance review — your boss’s chief priority may be simply to get through his or her list of performance reviews, not to help you move up and out of their department. One of the biggest problems with annual performance reviews is that they tend to be too strongly influenced by one major mistake during the year, or by recent events. This could happen to you. Smile through it and remember that your manager is blissfully unaware of eighty percent of the amazing things you do every day at work. That’s okay. You don’t need your boss to know all the great things you accomplish. Your flame and your resume are growing whether your boss realizes it or not! No matter how upset you might get in your performance review meeting, don’t quit then and there. It is not in your best interest to do so. Remember that you are playing the part of a person who looks like you but who can smile through the most unfair or random feedback — and then play that part. Sing your favorite song to yourself in your head, escape the meeting when you can and start planning to make 2017 a better year for your career than 2016 was. Remember two things — number one, that living well is the best revenge, and number two — that not every boss, company or job deserves you!